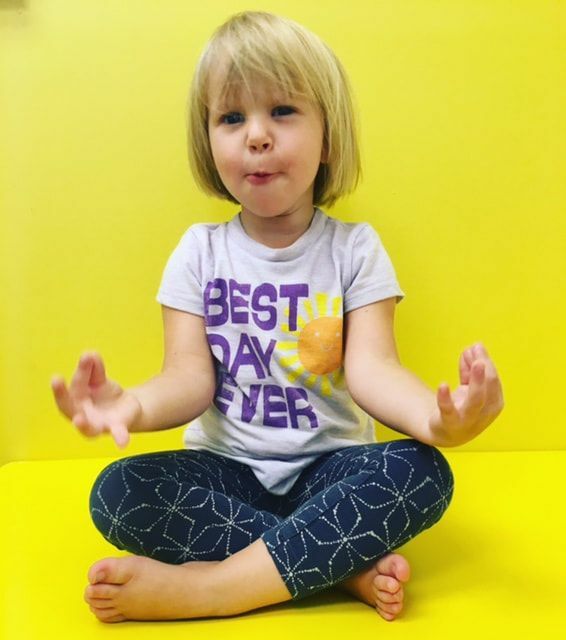 THANK YOU to the children, parents and stellar helpers who made 2018 Yoga Camp another successful summer of yoga and mindfulness, fun and friendship. The weather was not the most cooperative. There was a diverse range of ages. The numbers fluctuated from day to day. It was a summer to be flexible in body and mind. AND WE DID IT! It was one of the most rewarding years of camp sessions ever. The children were the best in the country (and they did come from far and wide). The helpers were cheerful and ready for any task. The parents of both the campers and the helpers are to be commended. It takes a village. The Children's Garden Yoga Village is one of the best anywhere. From Fairy Castles to Fishing for Yoga Poses, from Worry Dolls and Worry Stones to Kindness Bugs and Zen Gardens we learned to "Be the Pond". We learned that we are not our big feelings. They are just part of who we are. We breathed away sad and anger, we popped worries and frustrations and we found that there is a light inside each of us that grows calm, peace, happiness and love. We made friends with others and ourselves. It was a good summer. Some private yoga and mindfulness classes, Reiki and other healing energy sessions may be available from Mid September. Contact Yoga Barb at natural_child@hotmail.com for information. Road Construction is underway, as promised, but there's good news! SUMMER CAMP IS ON THIS SUMMER! I have been told (promised?) the road will be done in time for camp. The number of camp weeks has been reduced to ensure that easy access is available to the camp. A limited number of children will be accepted, as always, so if you have not signed your children up for summer activities, please contact me as soon as possible. Each year, the number of children are limited. However, I do put names on a waiting list and I do try to accommodate as many as possible. I am still accepting applications for volunteers which may also dictate the number of children accepted. This is our 17th year of summer yoga camps in which children learn the value of peaceful encounters with other people, animals, elements, the environment and perhaps most importantly, themselves. In our green space, nature meets child and helps him/her find that place of inner knowing…the love of life, the passion for being, as well as the quiet, the still, the listening, the calm…a place where children are expected just to be children without the pressures society relentlessly imposes. Whether a walk in an Enchanted Forest, camping at the beach or playing amongst the stars, imaginations will soar as yoga poses, stories, co-operative games and related activities encourage learning & laughter, health & well-being, movement & stillness, peace & understanding, acceptance of oneself, others and our planet Earth. Healthy snacks will be provided each day even in the darkest jungle, in a castle or on the moon. FULL DAY campers are required to bring a lunch. ALL campers are asked to bring a water bottle.